The University of Illinois Springfield, Junior League of Springfield and the United Way of Central Illinois honored more than 60 local volunteers and businesses during the 9th annual Good as Gold Ceremony. The event was held on Monday, April 24, 2017, at the UIS Public Affairs Center. Long-time Memorial Medical Center volunteer Patty Stremsterfer was honored with the 2017 Distinguished Volunteer Award. Stremsterfer was a young wife and mother of three, when a friend encouraged her to volunteer at Memorial. Forty-four years later, she still gives four hours a week to the 6C ICU cardiac area and has logged more than 8,000 hours of volunteering. 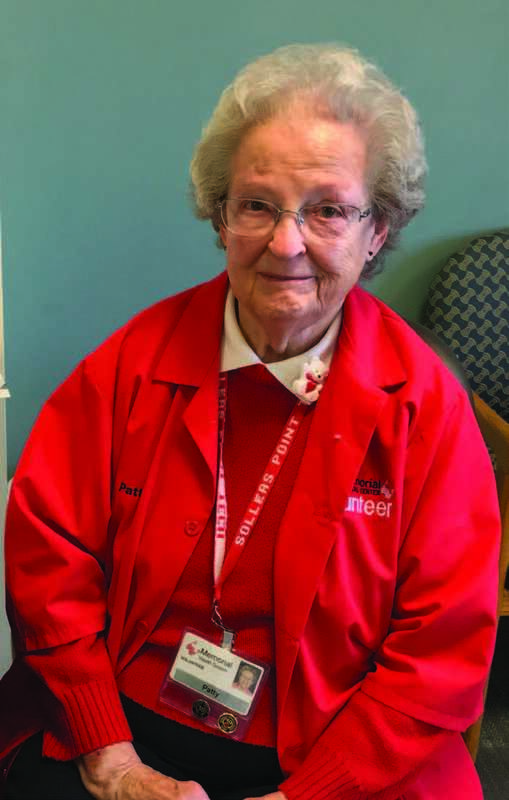 She is one of the hospital’s most committed volunteers. “It’s just where I should be,” she said. Stremsterfer spends time with family members or friends of patients undergoing cardiac procedures and sometimes the patients themselves. For her, it has a special importance. Both she and her husband have undergone open heart surgery, so she understands and empathizes with the people she meets. Stremsterfer also volunteers her time creating educational dolls with fabric organs, sews “angel pockets” for families suffering a perinatal loss and serves her church by hosting card parties, coordinating events and fundraisers, serving luncheons and making blankets for members of the congregation. The 2017 Distinguished Volunteer finalists include Les Carlson, Alfred Hampton and Scott Dickerson. 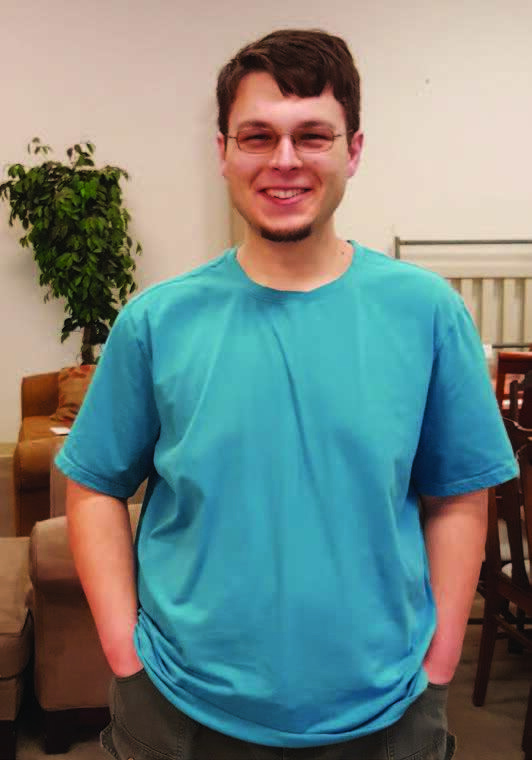 UIS student Matt Haury was honored with the Star Student Award for his volunteer efforts in the community. Haury began working with the Habitat for Humanity ReStore in December 2015 prior to the store’s relocation to 6th Street. Almost daily, Haury performs pickups, brings in donations and places items on the floor. He also leads other volunteers in helping the store with a number of tasks including assembling shelving and reorganizing the back end. Haury said it is the combined work of all volunteers and staff that make the ReStore successful. 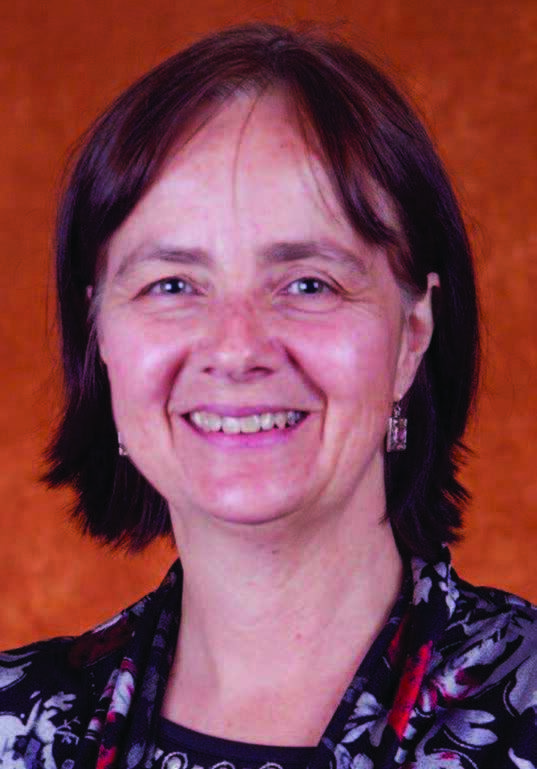 Beverly Bunch, professor of public administration at the University of Illinois Springfield, was honored with the Star Staff Award for her volunteer efforts with the United Way of Central Illinois. Bunch has served as Community Fund panel chair as well as on the Community Impact Committee of the United Way Board, the Venture Funds Committee, and the Emergency Food and Shelter Program Committee. In her decade of service there, she has given thousands of hours of her time, including more than 250 hours in the past year alone. 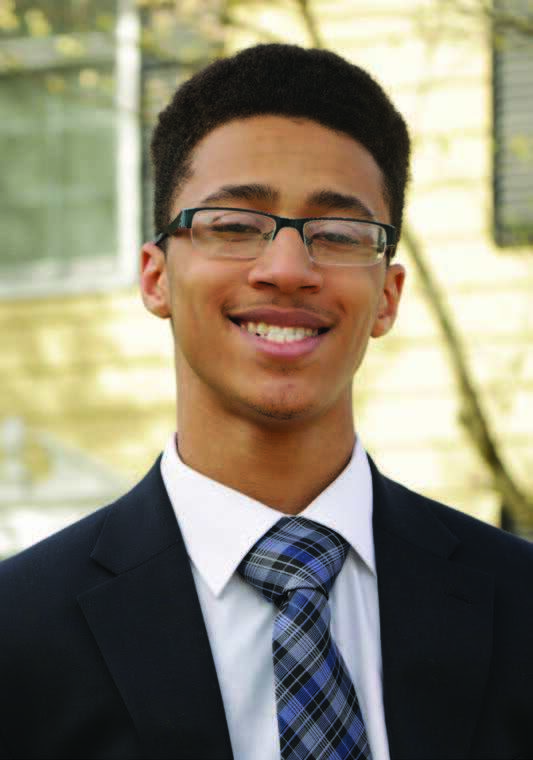 Springfield High School senior Russell Moore III was honored with the Youth Volunteer Award. Moore serves as president of several youth organizations including; the Sigma Beta Club of Phi Beta Sigma Fraternity, Inc., the Springfield Frontiers Youth Development Program and the American Legion Illinois State Junior Police Academy. He works as guide at the Abraham Lincoln National Historic Site, participates in Civil War reenactments and serves at the St. John’s Breadline. He has taken up collections for the Salvation Army and co-hosted a Kwanzaa celebration. Upon graduation, Moore plans to seek a degree in computer programming and possibly join the Marine Corps Forces Reserve. He said his goal in life is to see his generation not only succeed, but be a positive example. Forty-one local volunteers were also honored with the Heart of Gold Award. Recipients included: Dan Babor, Gina Bausch, Lindsay Bentivegna, Jewel Bishop, Angie Black, Valerie Bolinger, Jack E. Carder, Evelyn Carder, Devin Dreesman, Randy Ginder, Pete Graham, Gwyn Gurgens, Neill Howey, Tom Hutchison, Alicia King, Kerry King, Don Klues, Matt Lamsargis, Donald Landry, Toni LaVigne, Robin Loftus, Marilyn Markus, Connie Matthews, Lynn McMenamin, Traci Moore, Robin Patton, Sonya Perkins, Roger Priestley, , Waldo Richie, Penny Roth, Sara Shaffer, Debra Singer, Dave Slaughter, Barbara Spiro, Jill Waltman, Christine Weisbaum, Evan & Courtney Westlake, Lisa Williams, Jan Wilson and Joyce Wilson. The winner of the 2017 Organization Agent of Service Award is Central Baptist Church. Led by Pastor Josh Sabo, the church has created a partnership with Graham Elementary School nearby. The church congregation is instrumental in volunteering to run the school’s library as well as the after-school program and has given 3,000 hours this year alone. The church also holds two large events each year, involving about 75 percent of their congregation. The Graham Christmas Gift Mart benefits more than 100 children each year and more than 1,000 meals are either delivered or served at the church for their Thanksgiving meal deliveries. Both events benefit the James Project and Contact Ministries. A total of 25 Sangamon County businesses were named to the Business Honor Roll sponsored by the UIS College of Business and Management and supported by The Greater Springfield Chamber of Commerce. The honor roll recognizes businesses that have made giving back to our community a priority. Three businesses were listed at the top of the honor roll as Golden Distinction Winners; Security Bank, Heartland Credit Union, and Bank of Springfield. Other businesses making this year’s honor roll include Ameriprise Financial - Steven Koch; Duggins Design Center; Gem PR & Media; Terry Farmer Photography; West Central Bank; Illinois Realtors; Kerber, Eck & Breckel; Orthopedic Center of Illinois; President Abraham Lincoln Springfield - A DoubleTree by Hilton; Troxell; Brandt Consolidated Inc.; Bunn-O-Matic Corporation; Crawford, Murphy & Tilly Inc.; Horace Mann Companies; Illinois National Bank; Marine Bank; Memorial Health System; RSM US LLP; Springfield Electric Supply Company; United Community Bank; U.S. Bank and Wells Fargo Funding. For more information about the awards, please visit www.uis.edu/volunteer, email volunteer@uis.edu or call 217/ 206-7716.